Only a few walls remain of the Newhall House. Photo courtesy of Jeff Beutner. 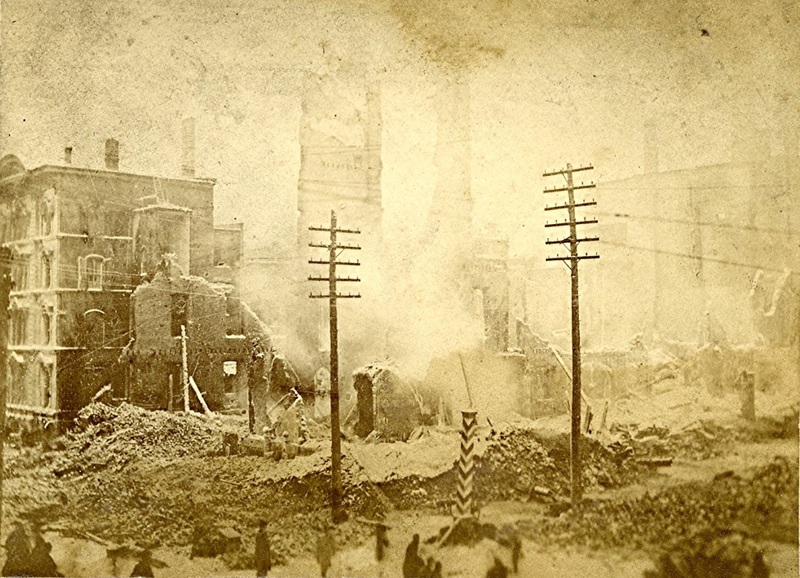 Author and historian Matthew Prigge joins City Beat, Urban Milwaukee’s weekly podcast, to discuss his new book, Damn the Old Tinderbox: Milwaukee’s Palace of the West and the Fire that Defined an Era. The book is a comprehensive account of the Newhall House hotel fire, at the time the most tragic in American history. We also discuss what drew him to research incidents in Milwaukee’s history that cast the city in a darker light. His past book, Milwaukee Mayhem, chronicles many such disasters, deaths and strange occurrences. Prigge’s passion for history might only be matched by his love of baseball and the Milwaukee Brewers. Prigge shares his expectations for 2019 and who is favorite Brewer of all time is.